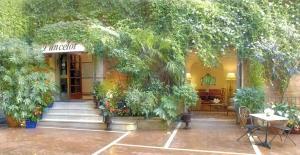 Located in Rome, KAROL APARTAMENT ROME is set a 10-minute walk from Re Di Roma Metro Station. It offers a garden and self-catering accommodation and free WiFi. This apartment is air conditioned and will provide you with a modern kitchen complete with a dining table. The private bathroom includes a hairdryer. St. John Lateran's Archbasilica is a 20-minute walk away, while Termini Train Station is 4 metro stops from KAROL APARTAMENT ROME. When would you like to stay at Karol Apartament Rome ? This apartment is air conditioned and will provide you with a modern kitchen complete with a dining table. The private bathroom includes a hairdryer. Please inform Karol Apartament Rome in advance of your expected arrival time. You can use the Special Requests box when booking, or contact the property directly with the contact details provided in your confirmation. A security deposit of EUR 150 is required upon arrival for incidentals. This deposit is fully refundable upon check-out and subject to a damage inspection of the accommodation. Each day we'll check prices and send you an email for your selected dates at Karol Apartament Rome. If you don't have specific dates but would like to check prices for say next weekend or say next month we can check the price too. Click to write a review and share your experience of Karol Apartament Rome with other travellers.